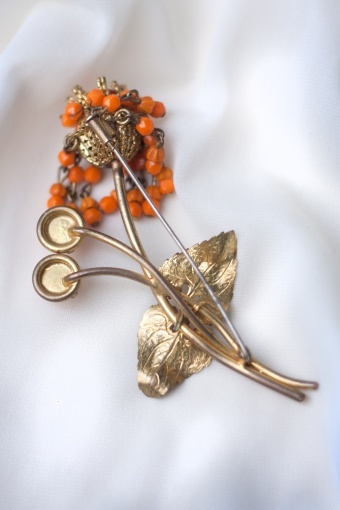 New brand: Petra Reijrink hand-crafted vintage ánd vintage inspired jewellery! 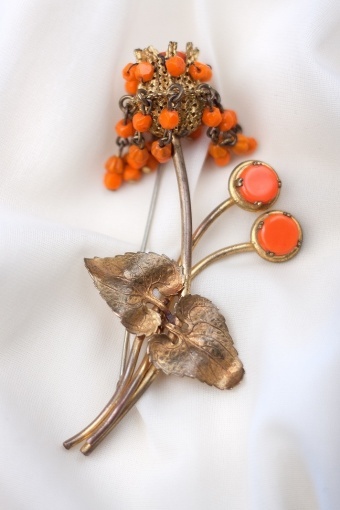 This is a real antique 1930s brooch. 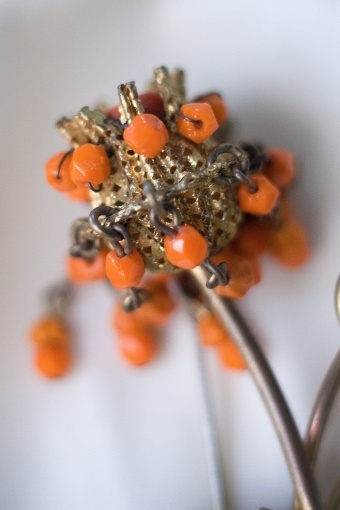 Very unique, large flower with vibrant orange glass beads and settings and delicat textured curved petals, made of goldplated bronze.